Package valid for one person only. Packages can not be shared between people. 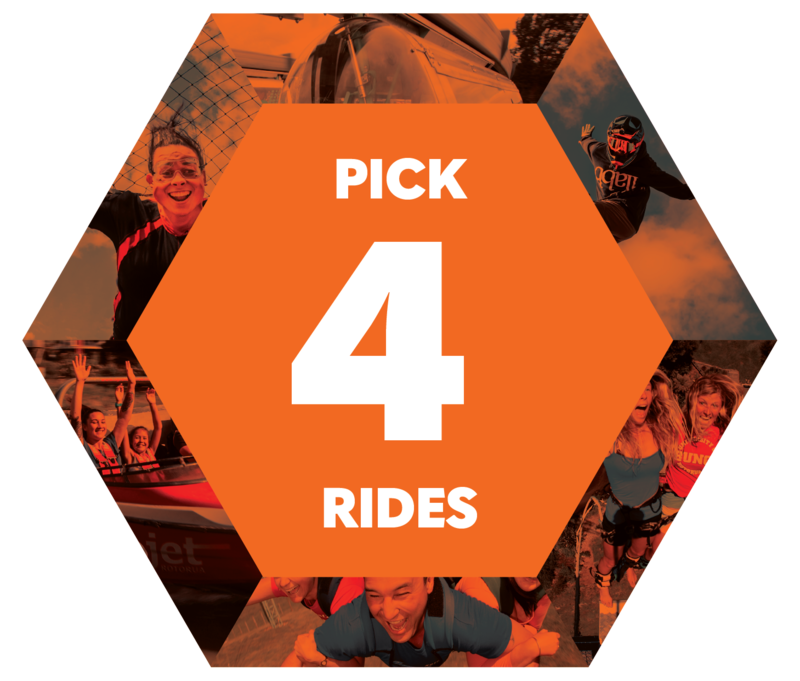 Select 4 rides from Agrojet, Freefall Xtreme, Shweeb Racer and Swoop. Selection can be made on the day of arrival. Mix and match the four rides you prefer the most. Flexibility to try each ride once or maybe drop one ride and double up on another. The choice is yours. Bungy Jump is not included as a ride selection in this package.